Torrance, California is what I’d call Southern California’s best-kept secret foodie destination. When I tell people I’m going to Torrance, most of them ask me “Where’s that?” or “What’s there?”. Did you know? Torrance is part of South Bay in Los Angeles County. But aside from having my relatives there to visit, Torrance is actually quite a great place to explore for food. I usually don’t find the need to go to other cities when I visit because there’s already so much to try. Did you know? The ethnic Japanese population in Torrance is huge due to its history of being the US headquarters of Toyota and Honda. It is second largest among any U.S. city after Honolulu. So if you love Japanese food like me, Torrance is definitely a place to visit because there are so many great Japanese restaurants here. 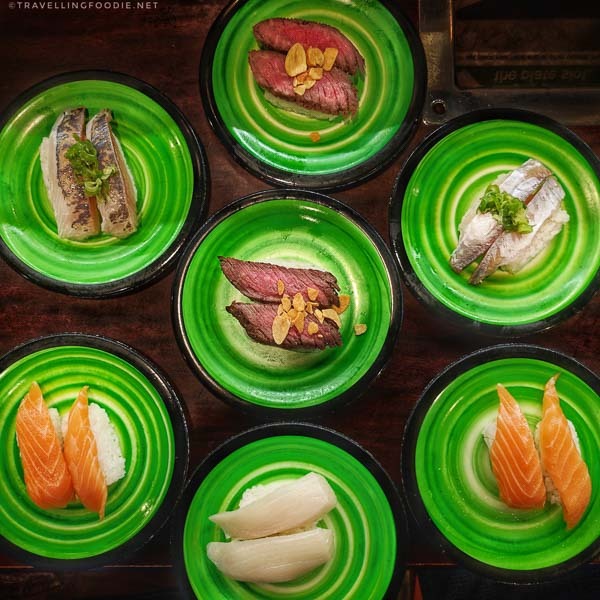 Though Japanese restaurants are abundant, so are other kinds of restaurants which make Torrance such a great place to explore for foodies! 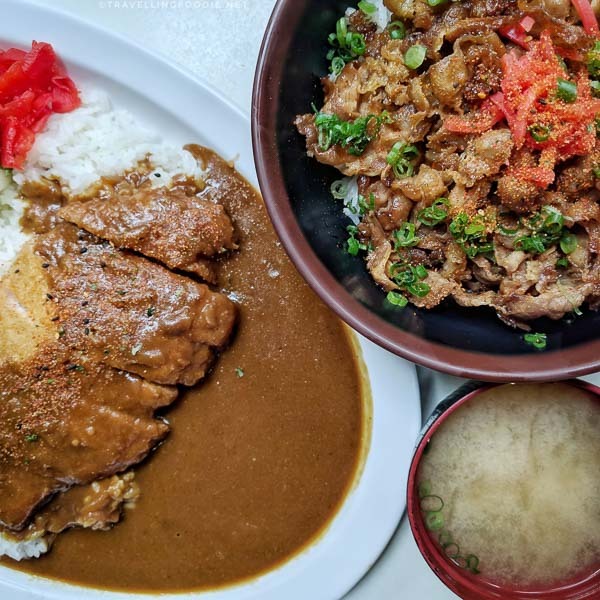 I was in Torrance earlier this month to check out its food scene, and here are 9 Restaurants To Try and Why, which includes some of best restaurants in the city! 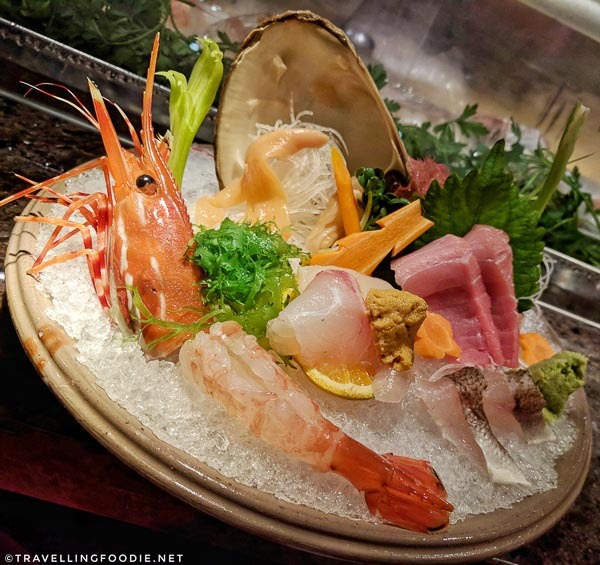 Located at the Miyako Hybrid Hotel, Ise-Shima Restaurant brings traditional Japanese cuisine to the next level with fresh ingredients from local vendors and Tokyo’s Tsukiji Market. Did you know? The restaurant used to be called Gonpachi. There’s bar and lounge area, dining area, sushi bar seating, and an outdoor patio. 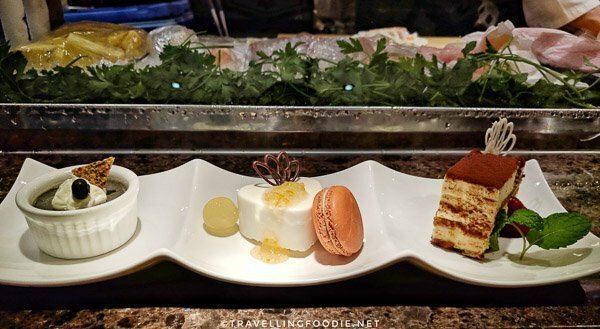 Travelling Foodie Tip: If you’re at the sushi bar, try to get a seat served by Executive Chef Yukio Sonoda and you’ll be in for a treat. They have a breakfast buffet ($23) that offers both Western/Continental and Japanese food. Travelling Foodie Tip: During lunch, a lunch entree includes an all-you-can-eat salad bar. Ise-Shima was surprising to me because it offered a lot of dishes that were the best I’ve had so far: chawanmushi, toro, botan ebi, ankimo, wagyu ribeye. 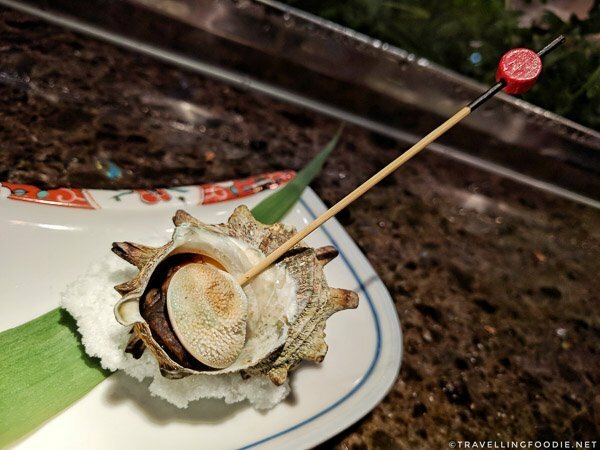 It also had unique items I’ve never tried before like this Sazae (Turban Shell). 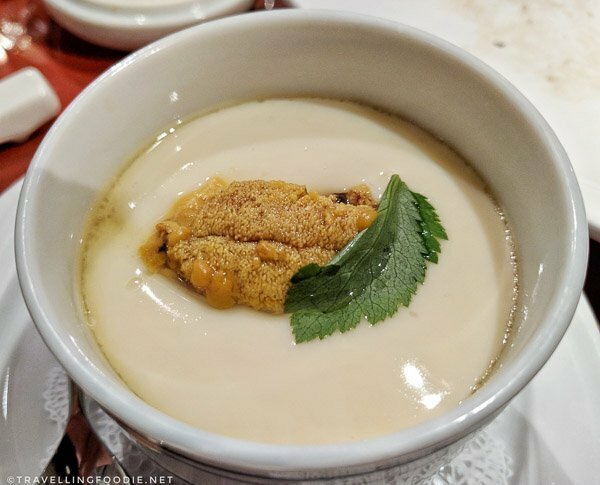 The chawanmushi was soft and smooth yet maintaining proper texture like a silk tofu that melts. The uni on top is a great bonus too! Did you know? Ankimo is considered the foie gras of the sea. 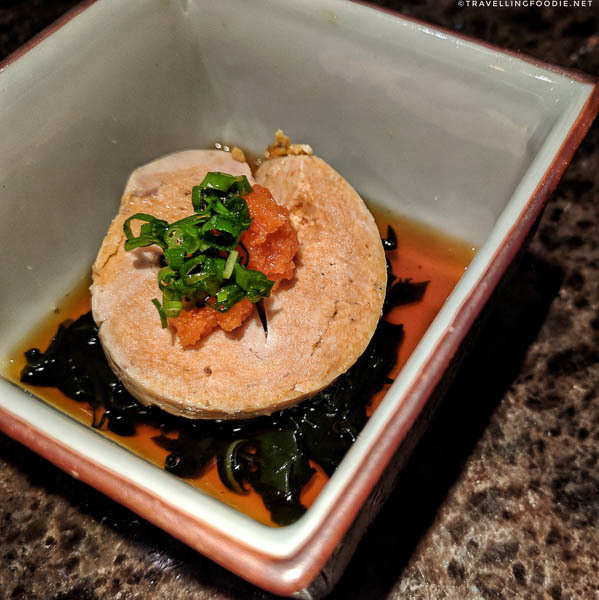 I’ve had ankimo before, but didn’t really enjoy it considering how much I love foie gras. The ankimo ($8) here changed all that, making me realize that I just didn’t get this good of an ankimo all those times. The Wagyu Ribeye Steak ($100/10oz) is the best wagyu I’ve had. They use Kumamoto Wagyu which is a rare Japanese brown breed and the only free-grazing cattle in Japan. 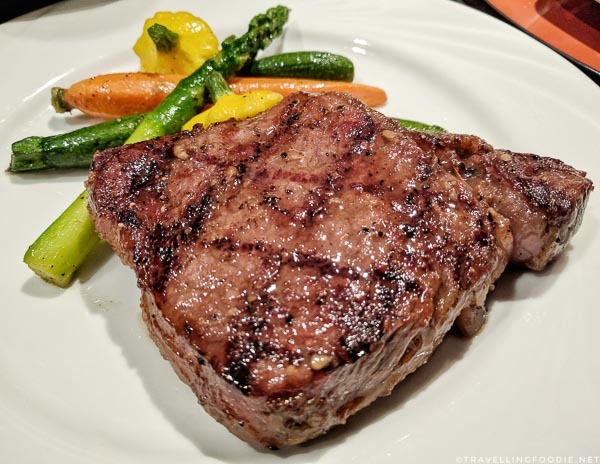 Though the meat is slightly leaner than you’d expect, it is so tender and buttery, and its butteriness and marbling is consistent all throughout the meat. 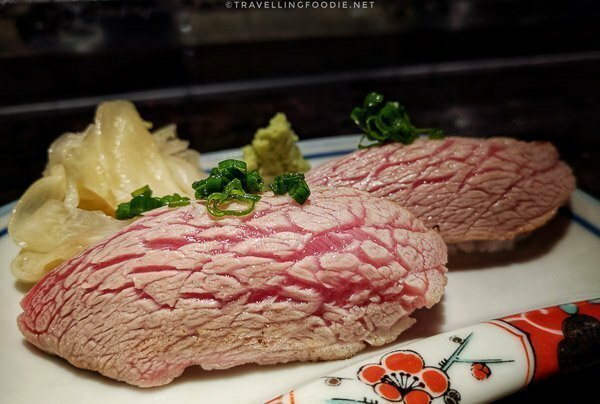 The chutoro (medium fatty tuna belly) here was the best I’ve had as well. It is so marbled and buttery, you’ll think you’re eating otoro! The Sesame Pudding ($8) is a great way to end on a sweet note with its strong black sesame taste. If you want variety, you can’t go wrong with the mini dessert platter ($15) which also has the sesame pudding. If you love uni (sea urchin), then uni-d to check out Miyabi Uni. This is the first restaurant I’ve seen that’s dedicated to all things uni, from live uni, uni shooters to uni don and uni cream pasta. I highly recommend the Uni and Foie Gras Risotto ($39.50). 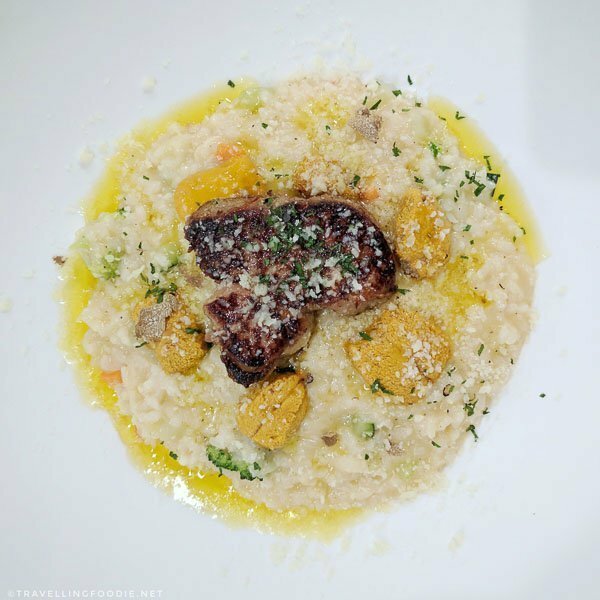 This is literally a combination of all the best things: uni, foie gras, black truffle, white truffle olive oil, risotto. The explosion of flavours is just heaven! 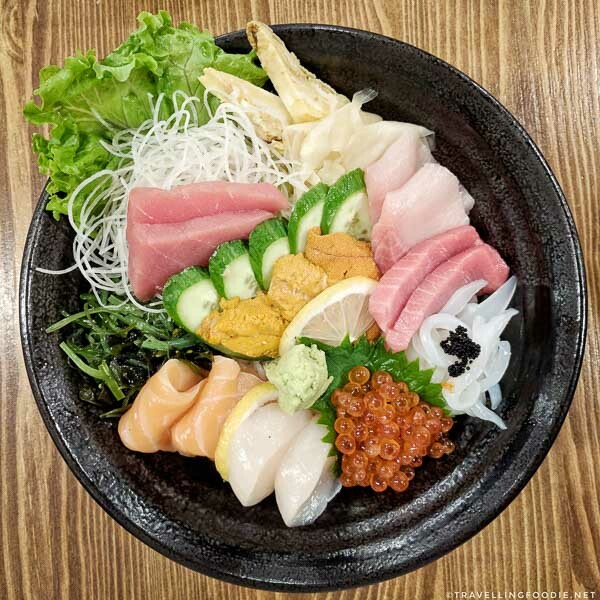 If you’re sea-urchin for something simpler, you can’t go wrong with the Miyabi Kaisen ($29.95/$39.95), a chirashi bowl loaded with a good variety of premium sashimi. 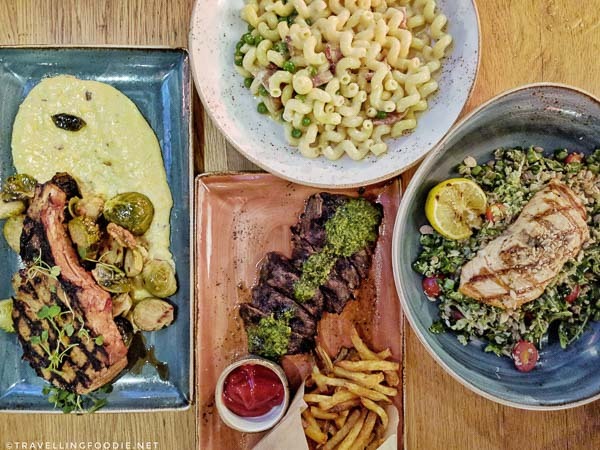 Opened December last year as a new addition to Del Amo Fashion Center’s growing restaurant scene, BRIO Coastal Bar and Kitchen serves contemporary cuisine in a modern and trendy atmosphere with a playful outdoor patio that has Jenga blocks and a ping-pong table. 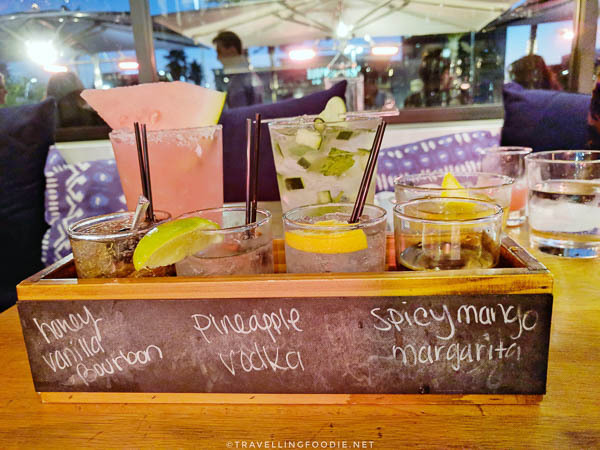 Travelling Foodie Tip: They have Social Hour offering $5 Bar Bites, Cocktails and Wines from Monday-Friday, 3:30pm-6:30pm and 9pm to close. 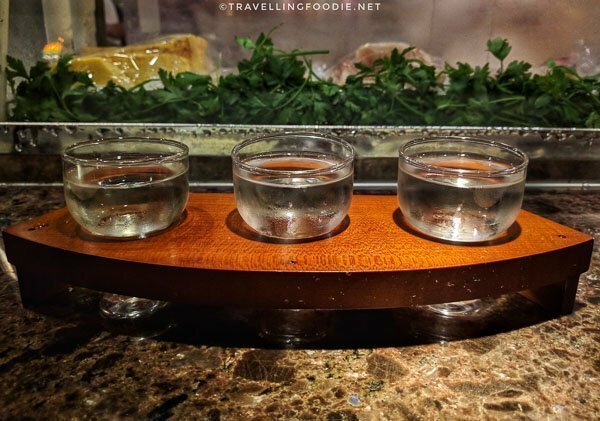 The infusion flight is unique and great for liquor lovers. Did you know? Their house-made infusions are infused for 14 days! 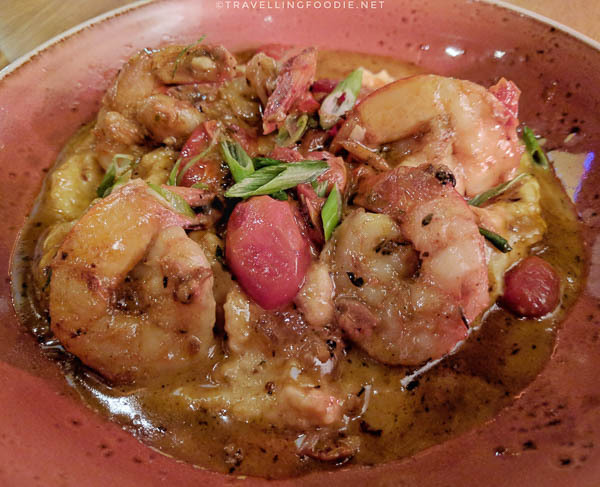 One of their most popular dishes is the Shrimp n Grits, which was my favourite in the small plates. The creamy smoked gouda polenta made it a winner. 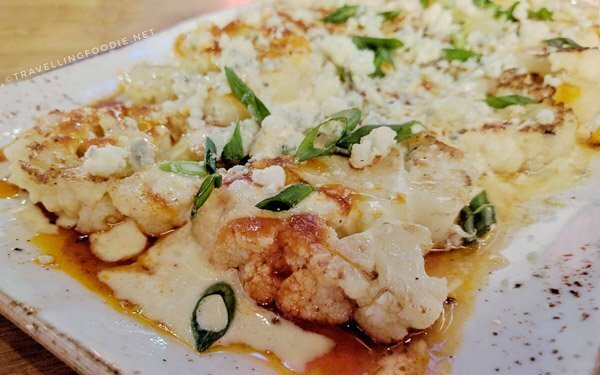 A welcoming change for me was their buffalo cauliflower steak which was full of flavour with the gorgonzola and creamy horseradish. Mind you, their small plates aren’t necessarily small. 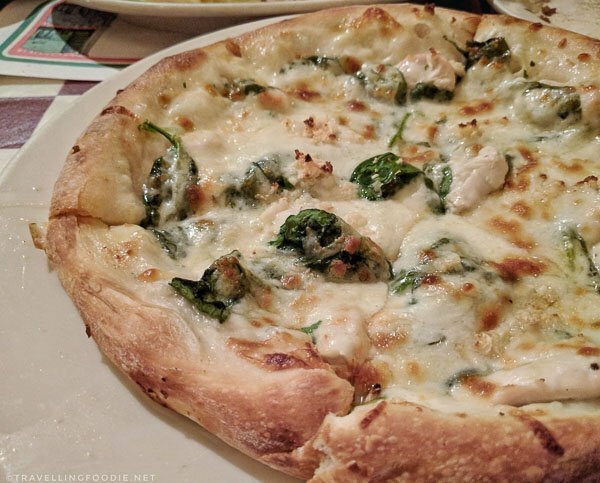 This dish can be shared by at least four people! 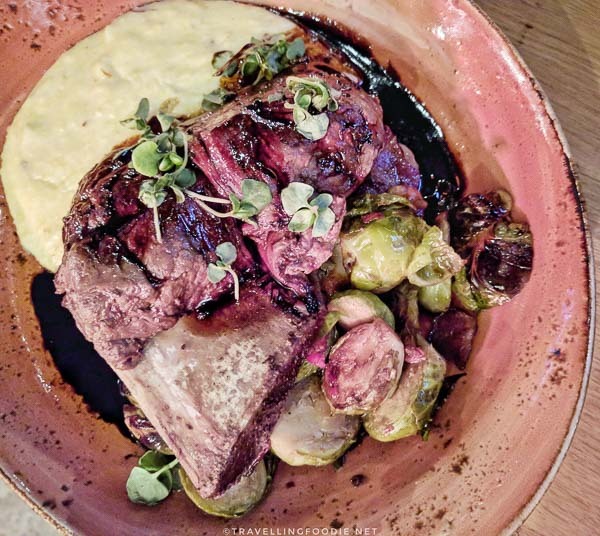 If you love beef, you’ll enjoy their Braised Short Ribs ($28). They are very tender, meaty and fall off the bone. Be sure to save room for dessert! Their Gooey Chocolate Cake ($8) is a sure pleaser if you have a sweet tooth, love chocolate or hazelnut! 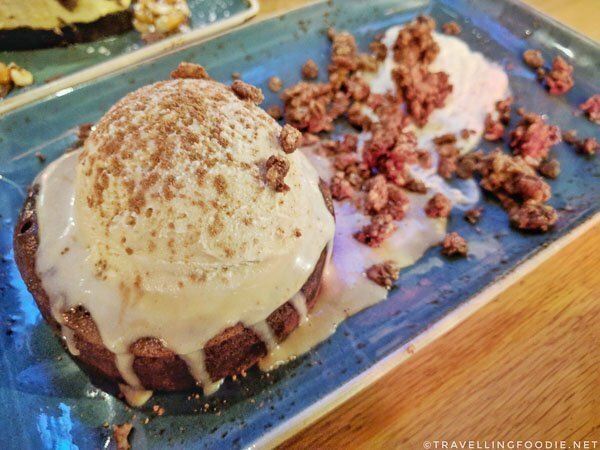 A restaurant chain with over 190 locations, BJ’s Restaurant and Brewhouse is the place to be for handcrafted beers, good pub fare, or their renowned dessert, Pizookie. Did you know? BJ’s was originally known as Chicago Pizza. If you love beer, you’ll fall right at home here since this location in Torrance at Del Amo Fashion Center has a brewery as well (not all locations do). They have 11 award-winning signature beers and cider on tap and at least 10 seasonal beers that rotate throughout the year. They have really good tender and juicy Baby Back Ribs ($23.50 full rack). 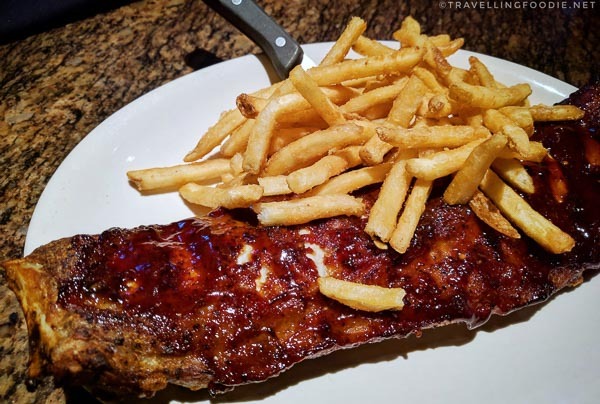 Travelling Foodie Tip: Their Thursday Special is $18.95 Full Rack Baby Back Ribs ($13.95 for half) with house salad, two signature sides and a mini pizookie! Baby Back Ribs ($23.50) featuring Big Poppa Smokers’ Sweet Money Championship Rub, and served with BJ’s Peppered BBQ sauce. 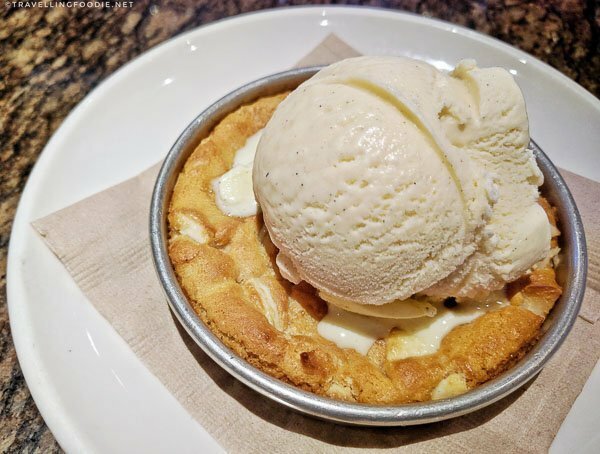 A must try here is definitely their popular Pizookie (Pizza Cookie), baked cookie on a round pizza tray with ice cream on top. My favourite has been the White Chocolate Macadamia Nut Pizookie ($3.95). Travelling Foodie Tip: Every Tuesday is $3 Pizookies! 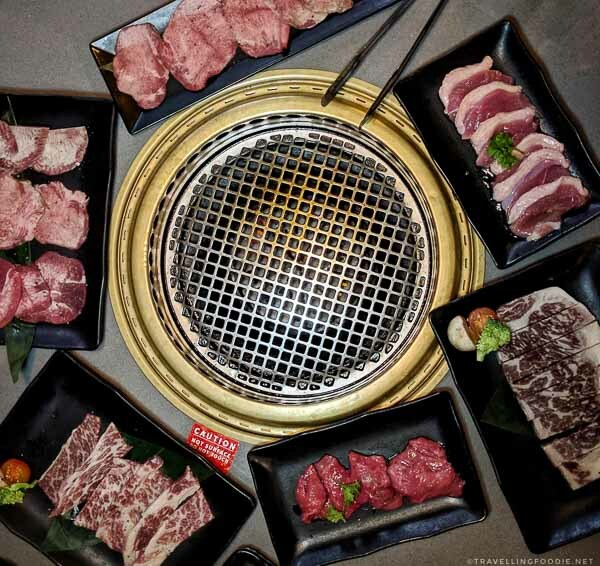 With over 600 locations worldwide, Gyu-Kaku Japanese BBQ is a popular yakiniku restaurant chain from Japan serving more than 100 food and drink items. Did you know? Gyu-Kaku means “Horn of the Bull”. 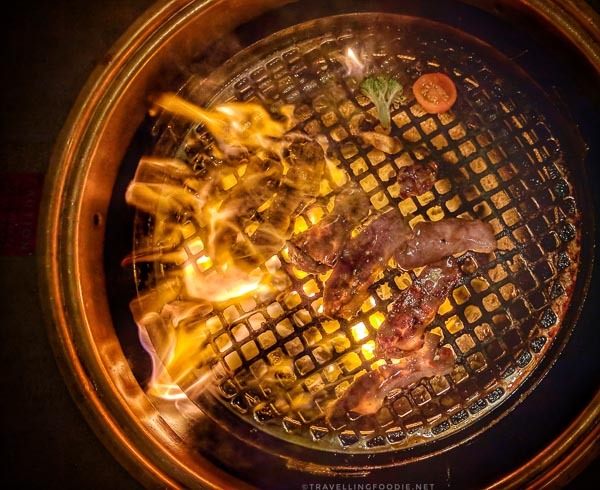 Yakiniku experience is a different dining experience where you share meats cooked over a flaming charcoal grill. They have a variety of seafood, poultry, pork and beef items for grilling. 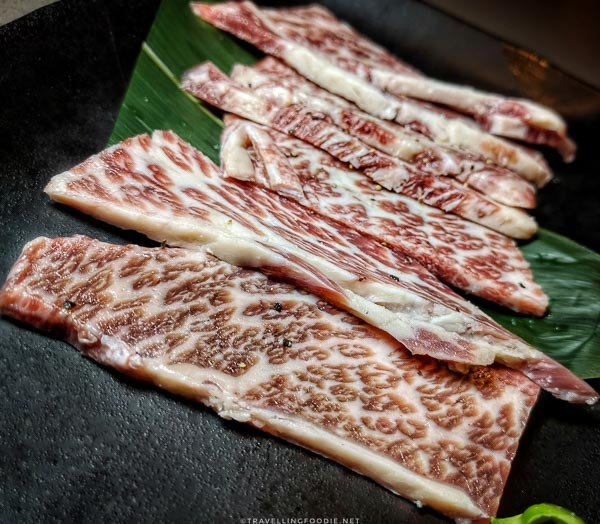 The beef section has the most items where you can go from Toro Beef ($4.25) to Kobe Style Kalbi Short Rib ($23.50). The Toro Beef is the most bang for your buck in my opinion. It’s the cheapest beef item but the quality is so good already! Travelling Foodie Tip: They have Daily Happy Hour from Open-6:30PM and 8:30PM-Close where a lot of the items are $1-$2 off! On Mondays, it is happy hour ALL DAY! 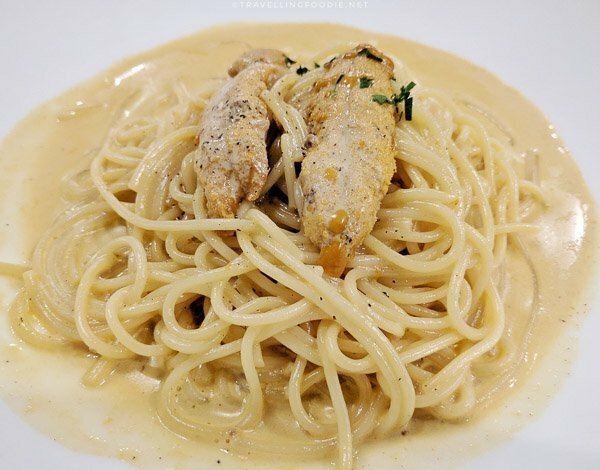 A family-owned restaurant, Scardino’s serves Italian fare made fresh daily from recipes originating from Southern Italy. They have seasonal features worth looking at. 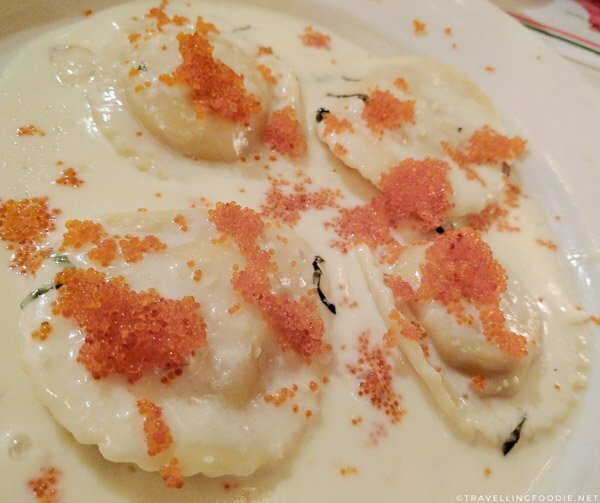 I really enjoyed the Lobster Ravioli ($13.95) with its al dente ravioli, generous lobsters and creamy Basil Chardonnay Creme Sauce. 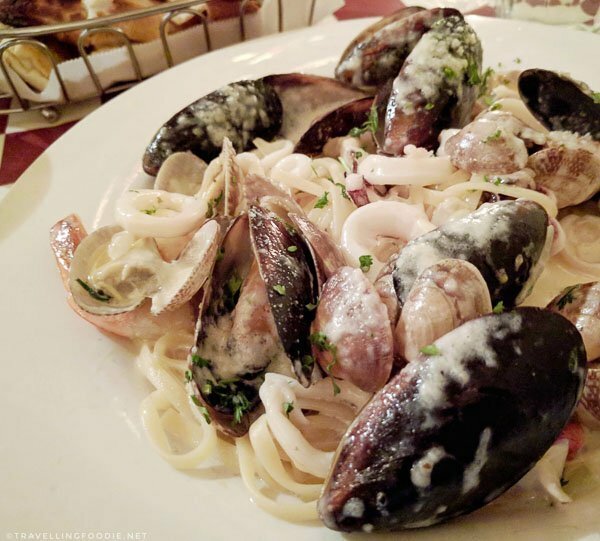 If you love seafood, the Linguine Pescatore is a must order. It is full of seafood! I loved it with the white sauce, which I opted for instead of the red sauce. Their hand-made pizza dough is very good too if you’re looking to get pizza. There’s no explanation on this one. Whenever you’re here, you must try the ever popular In-N-Out. The burgers here are just so good especially considering the fast food prices. 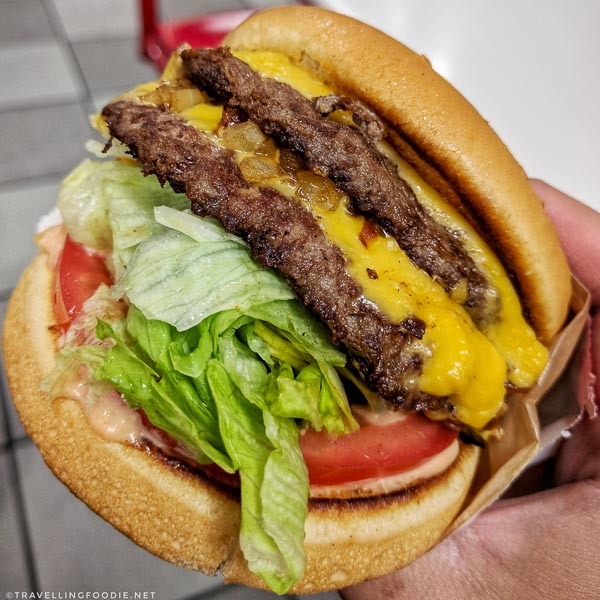 I always get their double double cheeseburger ($3.90)! Travelling Foodie Tip: If you like your fries very crunchy like me, ask them to make them “well done“, and thank me after. 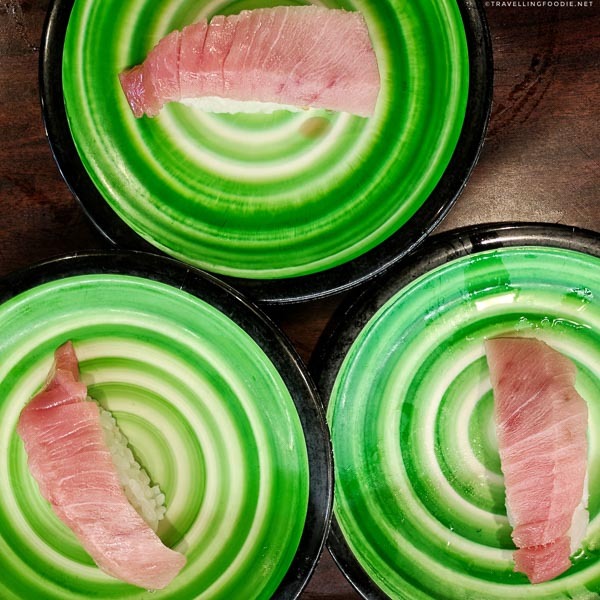 A chain from Japan, Kula Revolving Sushi Bar is known for just that, the Revolving Sushi Bar. There are no servers here to take your orders. When you go inside, you can sit at a sushi bar type table, or a booth. But either way, both tables have the conveyer belt accessible for you to grab dishes you want. What’s even more unique is they also have an Order Panel and Belt, where you can order your items ala-carte instead of from the conveyer belt. When you place the order, your order zips thru the order belt right in front of you. It’s also a value Japanese restaurant. All sushi (2 pcs) are $2.50 only, including some unique fishes like flounder, aji, amaebi and conch, but except uni and toro which are 1 piece. Non-sushi items are very reasonable with crispy chicken and squid at $3.20, and softshell crab at $4.20. They try to maintain the freshness of their sushi. 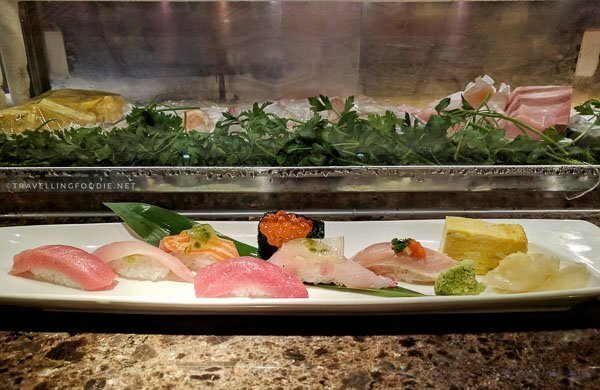 The system automatically disposes sushi plates that have not been taken for a certain time. For the health conscious, it’s great to know that their food uses organic and/or additive-free ingredients. Did you know? After 15 plates inserted into the empty plate slot, you get to play Bikkua-Pon that dispenses a ball with a surprise gift inside! 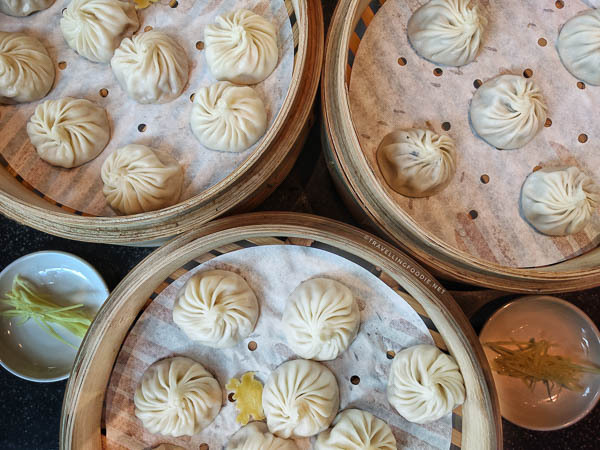 Originating from Taiwan, Din Tai Fung is a one Michelin star restaurant popular for its XiaoLongBao (soup dumplings). It’s starting to make its way to the USA, and there’s a location in Torrance inside the Del Amo Fashion Center! Though I found the one I had in Shanghai much better, it’s still worth a try if you haven’t had them before or craving some dumplings. 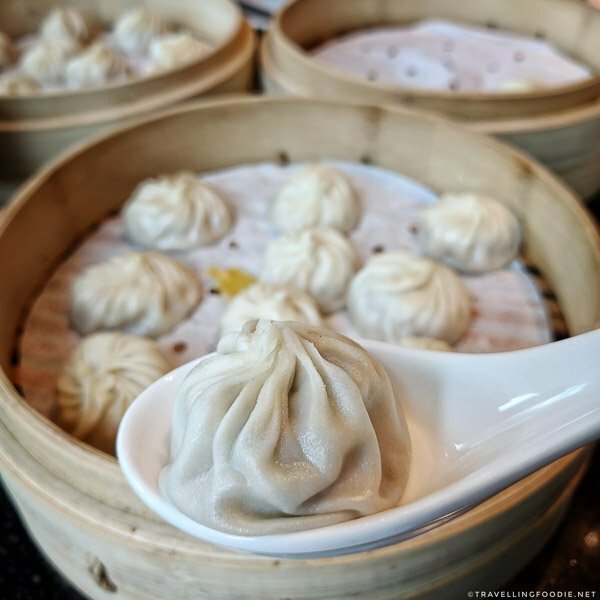 Get the Snow Crab & Pork XiaoLongBao ($13.50)! I found it the best out of the three XiaoLongBaos offered, and it has the best value. 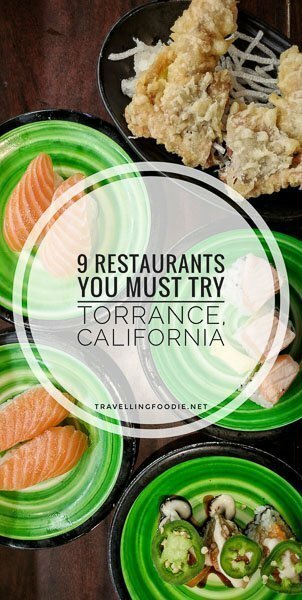 Hope this gives you an idea on where to eat in Torrance, California! 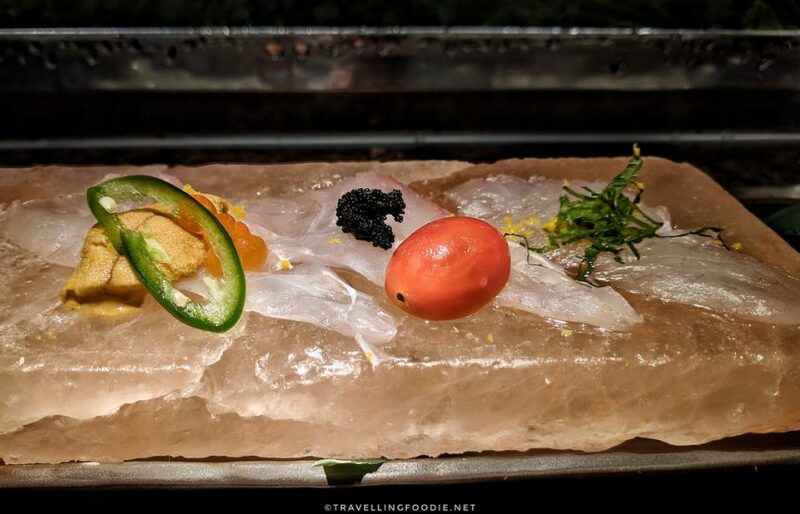 Seriously, there’s so many great places to eat there as a travelling foodie! 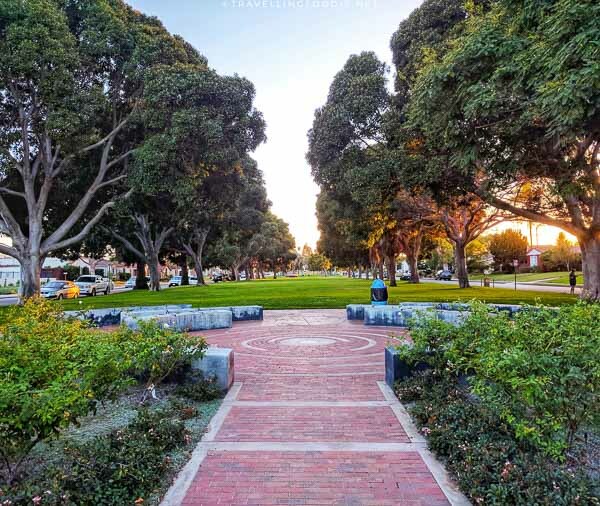 DISCLAIMER: This article was created in partnership with Discover Torrance. 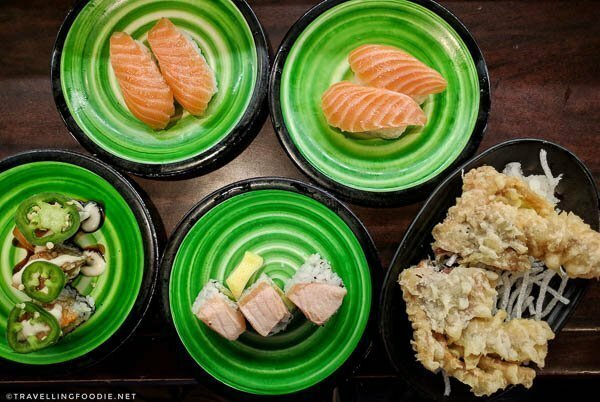 Posted on October 30, 2017 January 2, 2019 by Travelling FoodiePosted in California, Food, Torrance, USATagged food trip, guides, restaurants. This post brings back memories . For 10 years , Torrance was my home. I took the bus from there to El Segundo when I worked at Delta and Malaysia Airlines . It’s funny that people ask not only where is it but what’s there to do, that’s one of the reasons I started 30 Plus Teams , 30 Plus Dreams , folks were asking the same questions . Torrance has changed but a lot of the addresses bring back memories . 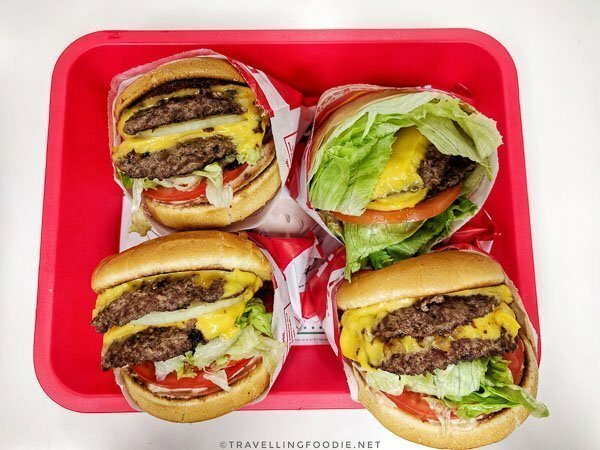 InandOut burgers, omg, yes! There was also a Japanese buffet place called Todai that I used to go to. I’m wondering if that’s still there . Thanks for rekindling those fond memories. Also, Torrance High School was used in the shows Buffy The Vampire Slayer and 90201. I moved to Las Vegas from 2007-10, now I’m back in new York City . Loved Todai. It was right around the corner from my house on Carson and Cabrillo . Loved their buffets and the plum wine!